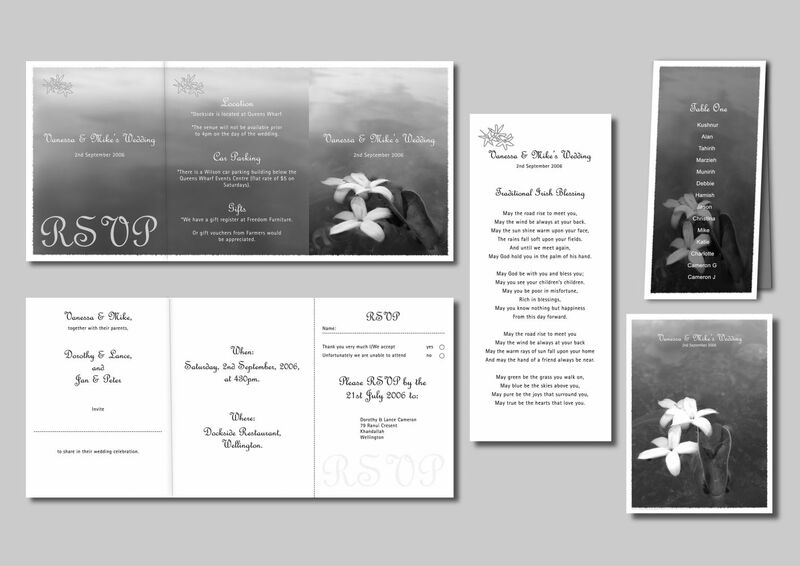 Project: Wedding Invitations, Order of Service, Place Cards and Thank You Postcards. Brief: To use a black & white image of a Star Jasmine on the ocean. Solution: A stunning photo of Star Jasmine flowers floating in the ocean. The design included some really nice fonts and an outline sketch of Star Jasmine flowers. “We loved our wedding stationery… Thank you so much it was exactly what we had in mind”.